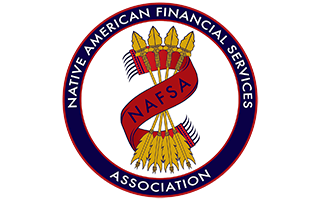 A new survey of banks finds that the average overdraft fee that banks charge customers decreased slightly from 2017 to 2018. Despite this slight drop in fees, overdraft revenue still makes up a key source of income for many banks. 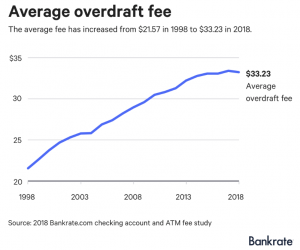 The average overdraft fee increased 54.1% between 1998 and 2018, although it has dipped slightly over the past year to $33.23. The rapid rise in overdraft fees has become an important source of income for many banks. In 2017 alone, banks with more than $1 billion of assets earned $11.45 billion in overdraft fees. Approximately 1 in 3 people overdraft their accounts each year, and about 10% of people overdraft their accounts more than ten times annually. These so-called “frequent overdrafters” pay about 78.7% of the overdrafts fees that banks collect. They tend to be younger than the average bank customer and have worse credit scores. According to Pew, a third of overdrafters view overdrafts as a way to obtain short-term credit. This may be a result of some states restricting access to short-term credit. A seminal study by the New York Federal Reserve found that people in Georgia and North Carolina used overdraft fees more often after their states capped interest rates for certain short-term loans. At the same time, these states failed to restrict overdraft fees, which are one of the most expensive credit options available. Several consumer groups have expressed concern over rising overdraft fees, leading Senators Sherrod Brown (D-OH) and Cory Booker (D-NJ) to introduce legislation that would restrict banks from charging more than one overdraft fee per month and more than six per year. The legislation is not likely to pass the Senate this year but is likely to resurface in 2019.